There Is Less Saturation In Instagram Stories....Use Them! 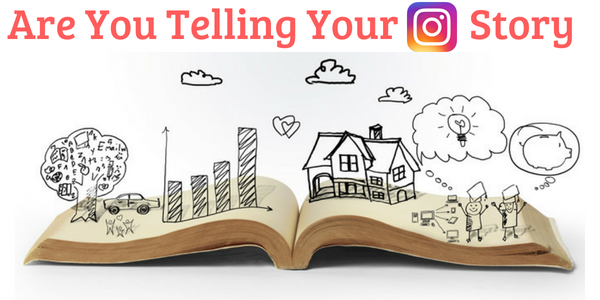 Did you know that Stories on Instagram are now more popular than its News Feed posts? In fact, 300 million people are on Instagram everyday using Stories to view both organic and brand generated content! Brands though have been slow to utilize this growing feature in their digital ad mix even though there are a variety of objectives you can utilize within Story ads, including brand awareness, lead generation and website clicks. Short video rules! In fact, video drives nine times the amount of post click website visits compared to still photos. The more short videos you create, the more eyeballs are going to see your content. But remember, keep that video under 15 seconds as that is all you get with Stories before it starts looping. Get creative with animated GIFs for your Stories! GIFs are an engaging and creative way to grab users attention. With the Giphy Integration adding a GIF to a video or photo on your Story is simple. Plus, it is a great way not to just grab attention but to highlight particular elements within your Story. For example, some great GIFs to try are “Swipe Up”, “Link in Bio” and “Sound On” as they can give the user a little more direction on what to do next once they have gotten to your Story. In today’s extremely fast moving world, it is all about convenience for consumers. Stories make content viewing extremely easy to navigate compared to feeds, which involve scrolling which takes effort. With Stories, you get prime position and everything then simply auto plays. Stories are just getting bigger. In fact, Facebook, (Instagram’s parent company) recently announced that Stories could now be shared from third party applications such as GoPro and Spotify making the content you provide even that more unique. What are you waiting for? Now is the time for your business to get into the Stories bandwagon before it too gets saturated. For a detailed Instagram Stories strategy, contact The Interactive Imprint right now by calling 954-254-1650 or visiting TheInteractiveImprint.com.